Welcome to the first block in the October Cathedral Windows Quilt-Along! "Cathedral window blocks are traditionally about folding and topstitching to create beautiful blocks with lots of depth. 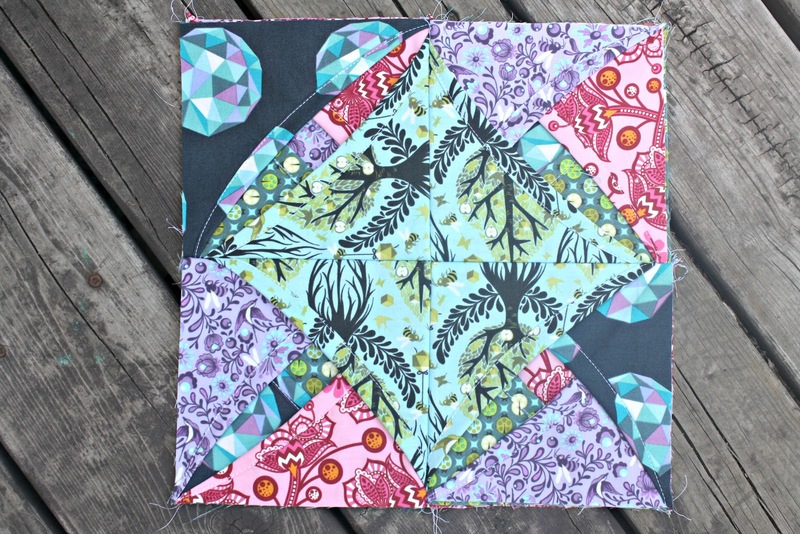 Today, I'm really excited to share this cathedral window block using Tula Pink 'The Birds and the Bees' fabrics. 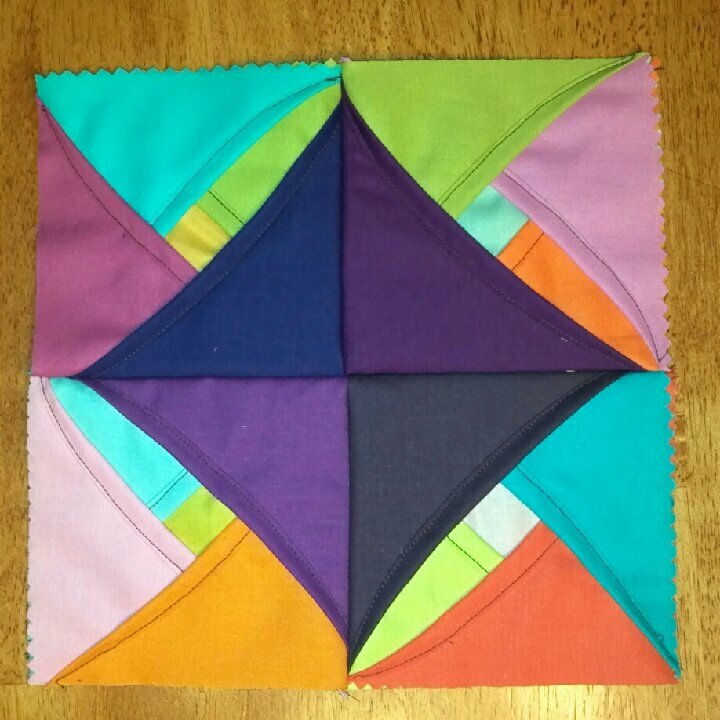 This post is part of the Cathedral Window Sampler Quilt Along. My block is the first in the series, but be sure to check the link for the complete schedule and list of prizes!!! 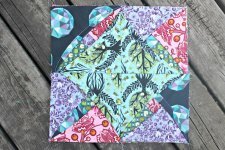 Thanks to Pellon and Free Quilt Patterns and Bree for hosting!! I think this block would be better in solids...it's a tad bit busy. My friend Bree suggested the solids." Be sure to check back on Thursday the 4th for the next block in the series!